I have a lot of good things to say about Mother’s Against Drunk Driving (MADD). Even though I am a DUI defense lawyer, both MADD and I have the same goals. We want to end DUI. We want our roads to be safe. We want to save lives. Use a designated driver. I also have a lot of bad things to say about MADD. I think their message has been hijacked away from its original laudable and simple goal: end drunk driving. Their legislative goals of pushing for non-scientific per se laws that punish those who are not drunk or those who are not drug impaired is against their original goal. Their court monitoring system of borderline stalking and intimidating judges and prosecutors into ignoring the merits of their case and prosecuting cases that have no merit is a large issue and anti-American. Also, it has been well published that their finances are questionable. But I want to call to your attention the latest. 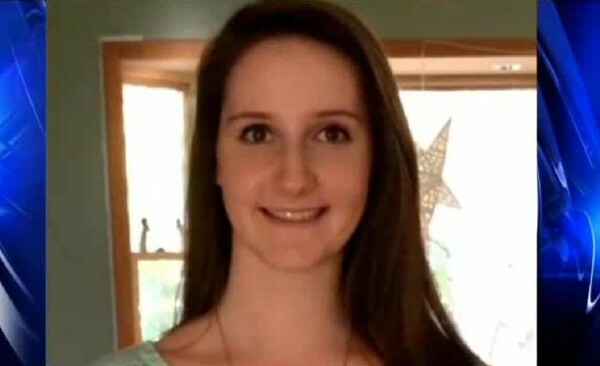 In Massachusetts, an admirable young lady who goes to North Andover High School named Erin Cox who is an honor student and the volleyball team’s captain was suspended related to her heroic and good actions. There was a party. A drinking party. It was not tied into a school event whatsoever. It was off school grounds. She did not go to it. However, she got a call from a friend. The friend had been drinking. The friend recognized that he or she should not be driving. So, this young person did the responsible thing. She called a sober driver–Erin–to come pick her up. Erin did. Who knows, Erin may have saved lives that night. Erin prevented a crime by doing the right thing. It’s the type of action that I would want my now almost 5 year old daughter to undertake when she is older. She is role model. For her good deeds, her school shamefully suspended her and suspended her from her volleyball activities. You read that right. She was sober. She did not go to the party. Not a drop to drink. She heeded the call of her friend to prevent her friend from driving after drinking. She may have saved lives. She gets punished. What a bizzaro world we live in. MADD was asked to weigh in on this whole situation. Given their original, simple and laudable goal— to end drunk driving. What do you think their response would be? I would have thought it would be to praise the young lady. Heck, maybe even give her an award. Mothers Against Drunk Driving President Jan Withers told Fox News that North Andover High School was right to punish Cox, whom Withers said should have called an adult instead of driving to the party herself in an attempt to pick up her drunk friend. Any corporation that feeds on DUI accidents and DUI victims should take a long hard look at its charter. MADD may have had the right idea in the beginning, but they have lost their way. I want safe roads. I live in the community. I have family and friends that I love who also use our roads. Lowering the limit does nothing for improved traffic safety. The average of all offenders nationwide have a BAC of 0.164. The lowering of the BAC does not impact that. It only makes convictions easier to gain. All per se limits are illogical and utterly unscientific. Prosecution must be based and rationally related to the true harm which is being too impaired to drive a car safely. If I were to fight the laws in PA would I get backing. I know MADD has deep pockets but I have read many articles in regards to the fact that reckless driving, manslaughter, and other laws already meet the intent of current DUI laws. Is it possible? And if a win does occur is it also possible to go after MADD in a civil suit to recoup costs?